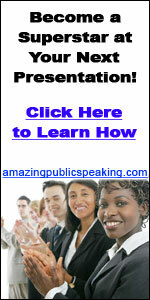 I cannot overemphasize the importance of making pauses during your presentations.pauses are one of most important things that generate and produce power to your speechs.If you want to call attention to a particular thought,pause just before its utterance and you will notice its impact on the audience right after you say it. 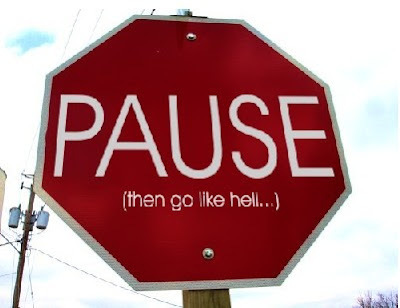 A pause automatically makes your talk comprehensibly and builds your audience’s relaxation simultaneously.what you say after a pause will have more effect than if no pause had accured. Another benefit that will derive from making pauses is…WAIT A MINUTE, have you ever been watching a recoreded foot-ball match,and throughout this process,someone has just stepped in and let slip the score? What would be your feelings? Riiiiiiiiiiiiiiiiiiiiiight ….!!! If you know the score beforehand,then there’s no reason to watch it.the fact is :You loose the suspense,aren’t you? well, It’ll bear the same result if no pauses are make during the speech.you have to bear in mind that suspense is what makes your audience alert and vigilant to what next point you are making.so by adding the power of pause to your arsenal,you have in the hands all what it takes to arouse and maintain suspense. My final thought is: watch out the way you talk and the way you insert pauses,because by doing so you keep them waiting for what is next and therefore,gaining there full attention which is your ultimate goal first and foremost.